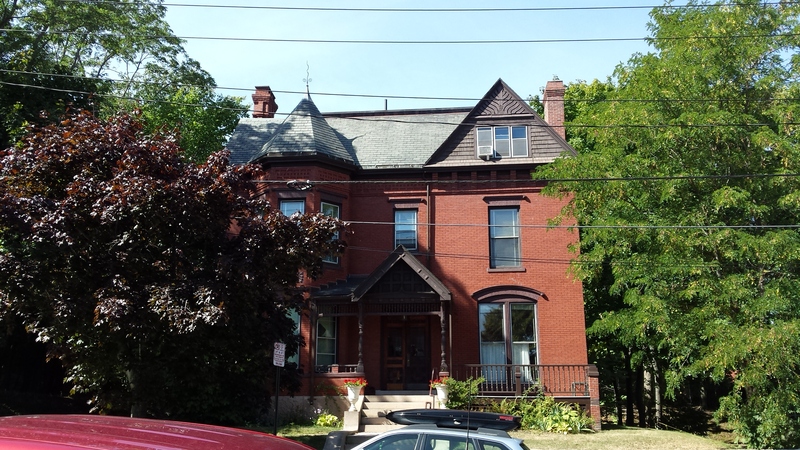 Built in 1882 for Malcom F. Hammond. Designed by Francis Fassett & John Calvin Stevens. 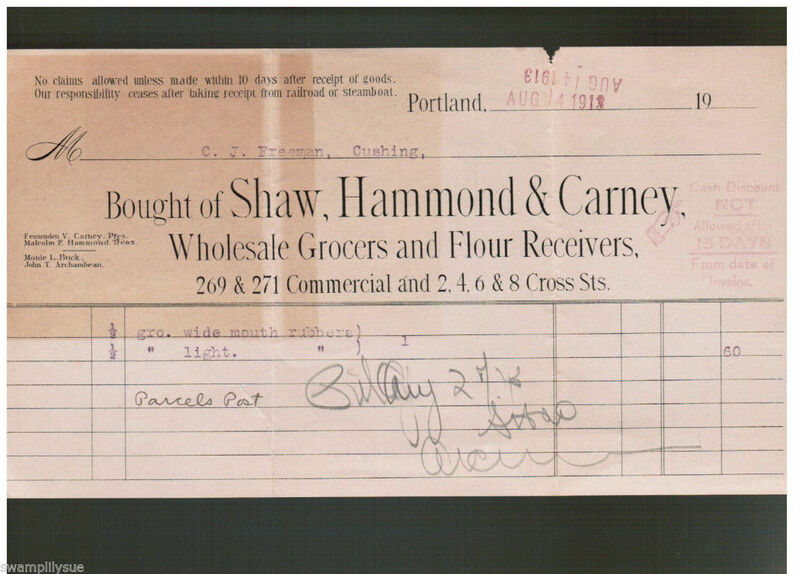 Hammond was a partner with Thomas Shaw and Fessenden Carney in a wholesale grocery firm on Commercial Street. Beckett lists him as boarding at 26 Congress Street in 1870. The building is a rather tall block with some common Queen Anne features. The height is emphasized by the house’s placement on a steeply sloped street. 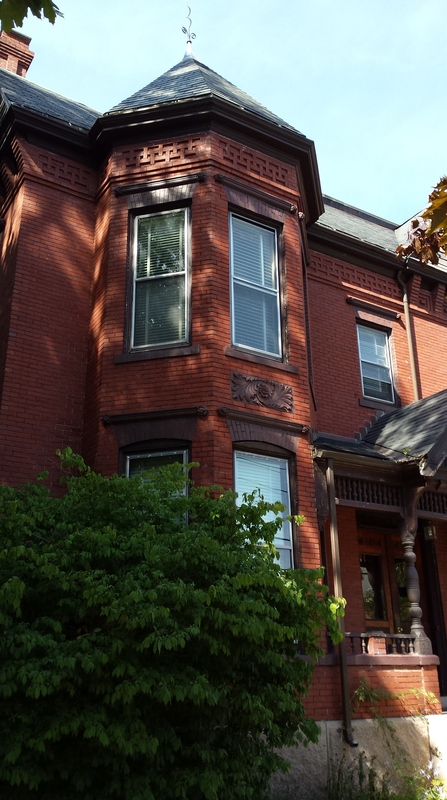 It’s executed in brick with wood and brownstone trim. It is a form and style Fassett knew well and used to great effect in many places. For a couple of reasons, I don’t think this is one. The right bay of the front facade starts with a 2 bay window surmounted by a nicely scaled compressed arch. The windows present no applied trim other than a slim sill and thin cap that terminates in foliated curls. Otherwise they appear to be punched through the skin of the building. The window on the second story is plain almost to a fault. Without any real trim it just seems drab and wanting some stained glass to give it some character. The bay terminates in a gable containing a triple sash and is capped with a free form decoration. The gable is marred by the choice of a drab brown paint and white triple-tracks on the windows. The left bay is primarily a turreted tower that does not seem to quite fit in. It’s too short and projects from the wall in a rather jarring way. Also, the facets of the turret are too narrow giving the windows a pinched feel. Finally, the tower is pushed right against the porch and neither gain from the meeting. Whether the tower was a requirement of the client or something Fassett and Stevens really wanted, in my mind, it just does not come off well. This is not to imply the house is without redeeming features. 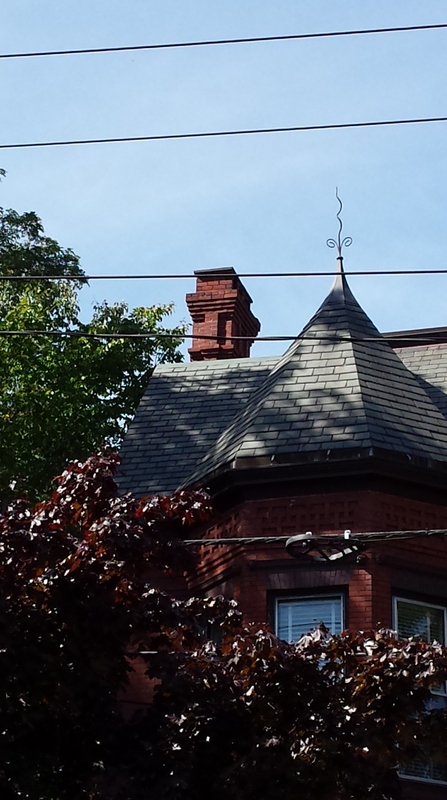 From the corbels to the greek key motif at the eaves to the chimney caps, the brickwork is of a very fine quality. The entry is somewhat inviting with its panelled verge boards and gable supported by heavy jacobean posts. A small spindle work band at the eave line reduces the mass of the roof somewhat. The bright, raking light on the day of these photos adds a gothic air to the arrangement. 24 Mellen came at a time of change for Fassett and Stevens. From 1880 to early 1882 Stevens had run the Boston office for the firm. Located in Pemberton Square, it effectively placed Stevens in the center of a new movement in American architecture. The movement was being championed by architects like William Ralph Emerson and Henry Hobson Richardson, both were working and residing in the Boston area during Stevens time in the city. Later the movement would be called the shingle style for it’s primary, but not singular, wall and roof covering. Stevens would return to Portland imbued with the new style and a desire to strike out on his own. By 1884, he had done so and a career that would come to define the architecture of the city for the next 6 decades was truly underway. 24 Mellen in 1924. Note the second story bay window now hidden by trees. The house is currently in very good condition with little decay beyond a little peeling paint. The building is listed as apartments and ownership is an LLC in Augusta ME. 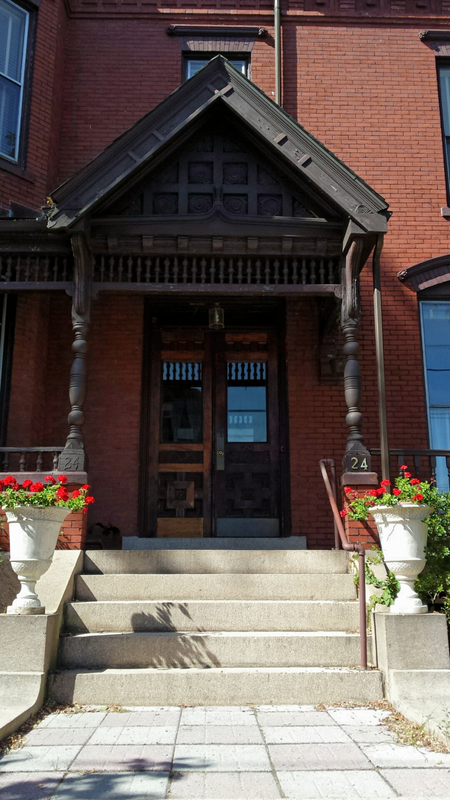 24 Mellen Street is in the Deering Street Historic District and is thus under the overview of the city’s historic preservation office. 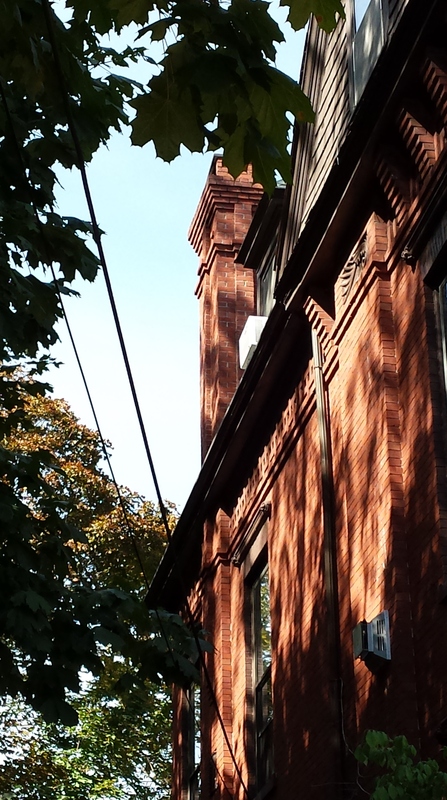 This entry was posted in Architecture, Brick, Francis Fassett, Glimpses, History, Images, John Calvin Stevens, Mellen Street, Parkside, Queen Anne and tagged Architecture, Brick, History, images, John Calvin Stevens, Maine, Portland, Queen Anne Style on September 19, 2016 by alewifecove. Thank you so much for this information! I lived in one of the studio apartments in this lovely building from 1995-1999 and have very happy memories of it and of Portland.